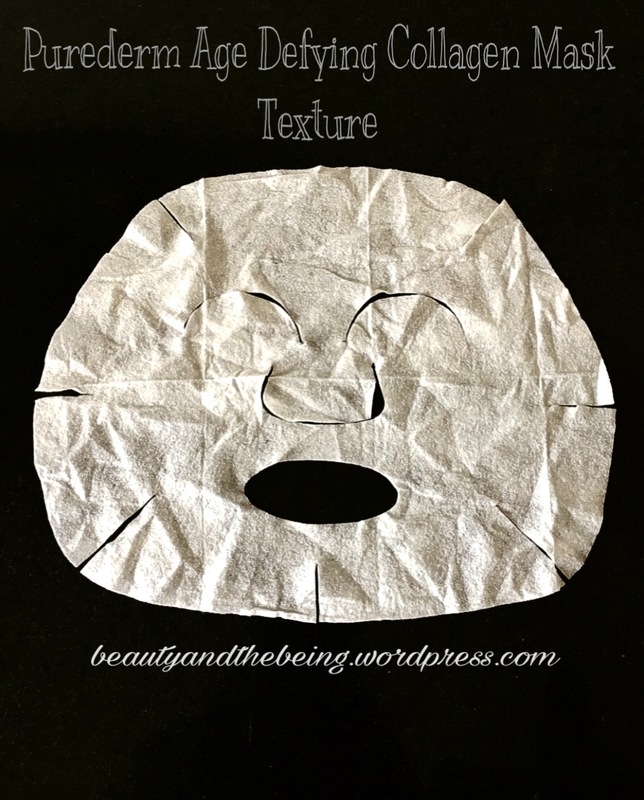 They say ‘Love the skin you’re in’…. … I say ‘Love‘ your skin first and you’re bound to fall in love with it…make sense??? 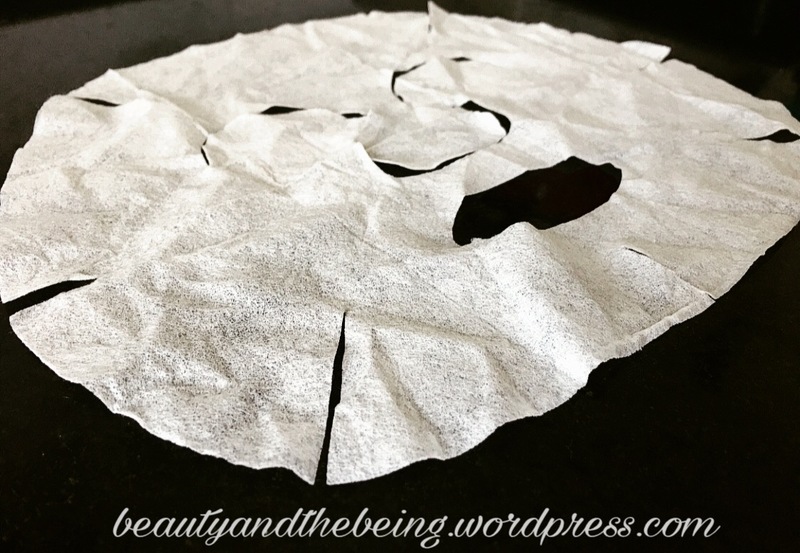 Today I’d like to share with you my second experience with a brand of sheet masks called Purederm…but before I get into the details of that, here’s a little about the brand itself. 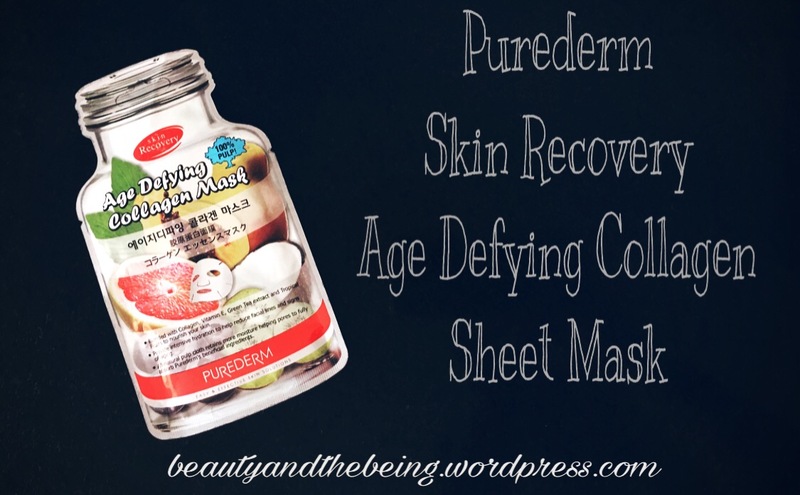 Today I’ll talk about the Age Defying Collagen Mask from Purederm. This came in a pack of 4 for Rs. 580/- …not bad when you read what the brand claims it will do! 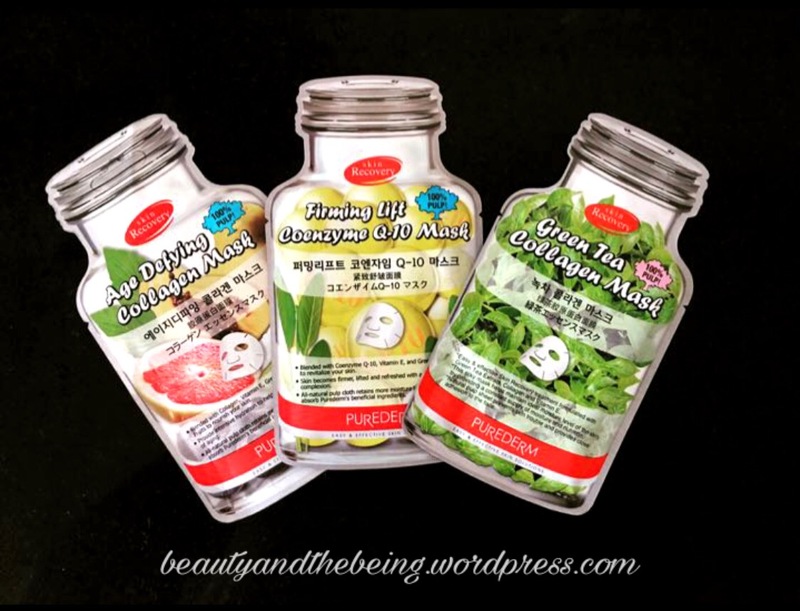 Aqua (water), glycerin, acacia Senegal extract, hydroxyethylcellulose,betaglucan, phyto collagen, hydrogenated castor oil, allantoin, camellia sinensis extract, mulberry root extract, alanine,proline, glycine, sorbitol, arginine, glutamic acid, panthenol, arbutin, cabbage rose water, papaya fruit extract, phenoxyethanol, disodium EDTA, methylparaben, parfum. 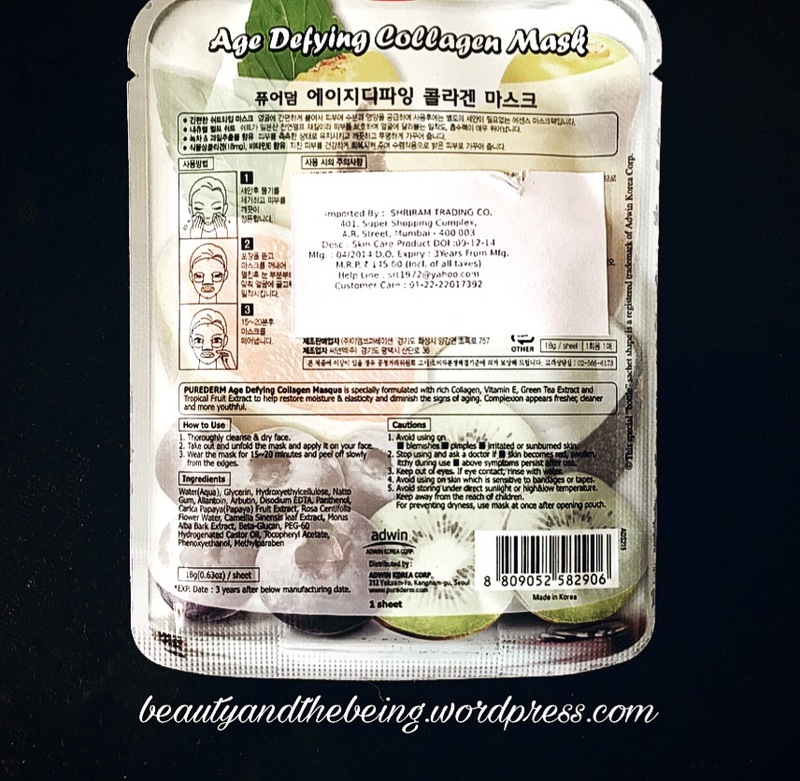 Once I did manage to get to the mask I noticed right away that there wasn’t a lot of essence in the packet, be that in the actual sheet mask or the essence leftover in the packaging. 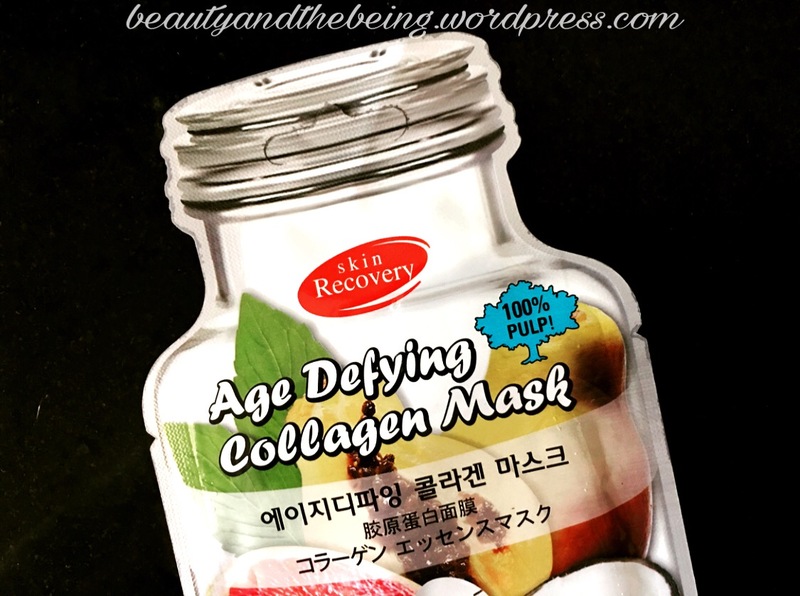 The good part though with the Purederm Age Defying Collagen Mask was the fit. As you can see the mask has slits so that the sheet mask can really sit on your skin & let it absorb all the goodness from the essence. I would have LOVED this mask if there was more product in the sheet, but oh well, not too bad after all. I will be using the ones left from this pack and also hope that the other 2 from this range will perhaps do better than this one….shall keep you posted… watch this space for more details!